Tissington in Derbyshire claims to be the oldest continued well dressing tradition. Well dressing being almost a Derbyshire speciality (although it has spread to neighbouring counties and beyond these in the twentieth century) is for those unfamiliar where clay is placed upon frames and an image pressed into this by using flowers, leaves and seeds. The art work produced can be of fantastic, but due to the spread of the tradition this quality varies greatly as do the themes, unsurprisingly the Olympics and Jubilee figure largely in 2012 designs. One of the best places to see the tradition is at Tissington, where not only is the art work very high quality, but the theme is very tradition taking biblical themes. 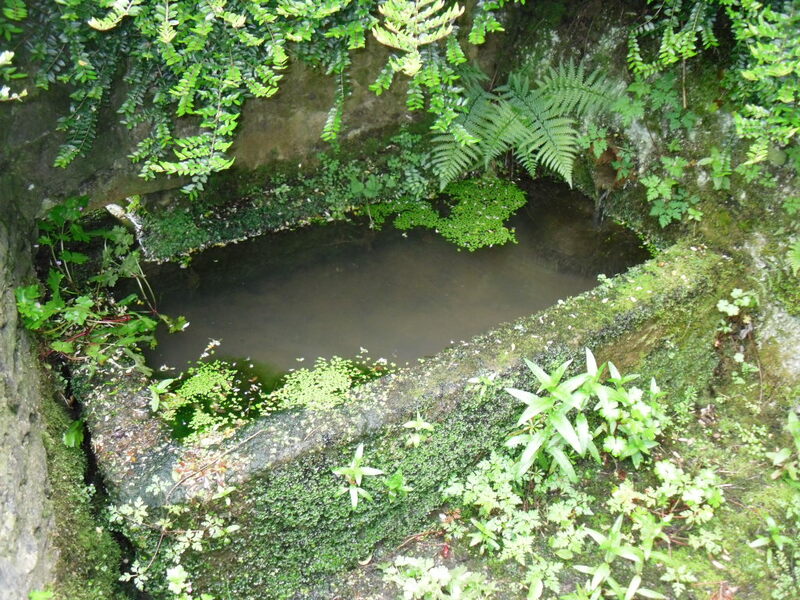 Today there are five wells dressed, certainly in their own right without the dressings, a number of these wells are quite interesting and impressive. The most impressive being that as noted dressed the longest the Hall or St. Helen’s, Hand’s Well named after a local family (as our the following) with its oval basin, Yew Tree or Goodwin Well, Coffin or Frith’s Well and Town Well. Little has changed in the intervening 150 or so years and the village whether on the morning of the blessing of any day until their dismantling is a throng of people, car parks are full, coaches line the main street and although it does sometimes look like all of Darby and Joan has descended upon the village, children can be seen taking full advantage of any ice-cream available! Perhaps this was a statement on the quality of the dressings or the maintenance of the tradition which has apparently only been broken three times in the last 100 years. The obvious times being the Wars, indeed the last war appears to have caused a considerable gap in the proceedings as Porteous (1949) in his ‘The Beauty and Mystery of Well dressing’ counts himself fortunate that he did not seek out the Tissington dressings before other lesser known sites, as the tradition being in abeyance in the village may have led him to the belief that it had died out elsewhere. He notes that it was hoped that Tissington would start dressing again in 1950. The third time was during the Foot and Mouth Outbreak of 2001! Ten years only from that cancellation, 2011 I was able to see the blessing, traditionally held on Ascension Day every year (a variable date in either May or June-it was June 2nd in 2012). 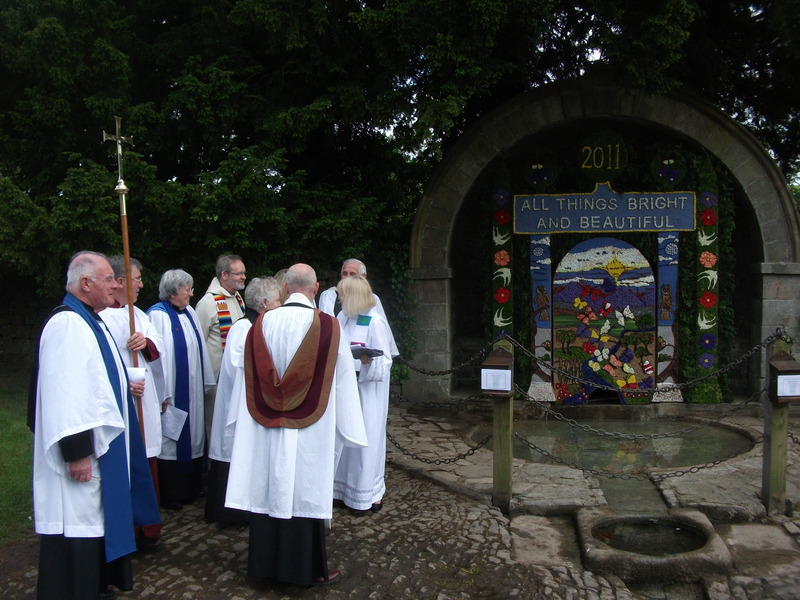 After a service in the church, the procession led by the vicar Revd Andy Larkin with the Archdeacon of Chesterfield, the Venerable Christine Wilson, the FitzHerberts and choir left the church and made their progress around the village to bless the wells. At each a reading was given, a hymn sung and a blessing made with a large congregation of onlookers. All in all a delightful day, the artistry of the wells particularly that of the Hands well with its topic Royal Wedding theme was much to admired…as was the Stilton Sandwich…which had virtually a wedge of Stilton! Hospitality is still considerable on Well dressing days.. The following is taken from the introduction to Holy Wells and healing springs of Derbyshire. 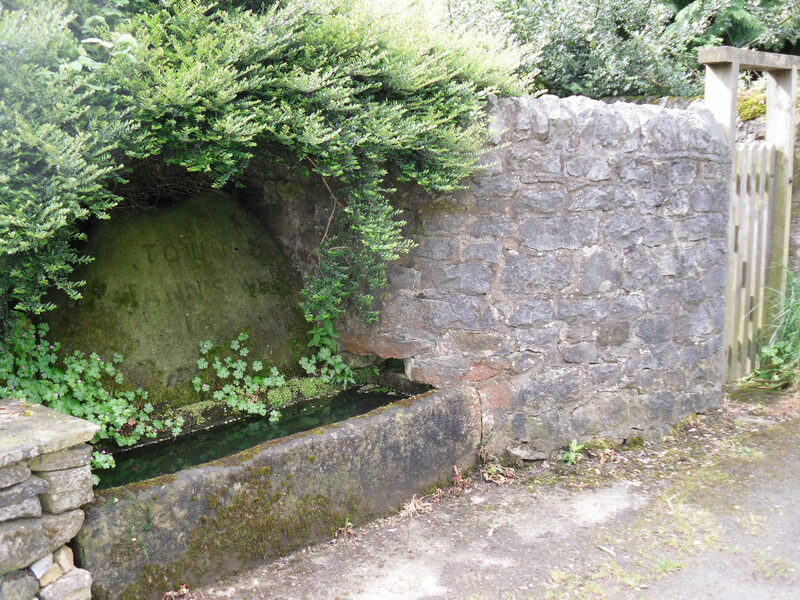 The first book to cover sites in the county was Naylor (1983) in his ‘Ancient wells and springs of Derbyshire’, however this did not contain many holy wells (13 true holy wells) and appears more concerned with industrial uses of water. Hope (1893) covers a number of sites and the author himself was a Derbyshire man and after his death, his notes made for a second edition, were passed onto the Reverend Binnall. Thanks to him, these additional notes as well as those already published were collated for an article for the Trans. Derby Antiq. and Nat Hist. Society. Harte (2008) provides the most complete survey giving 39 sites, but as this research notes is still not complete. Hence this work, hopes to draw together all references, and fresh research to provide the definitive work. The nature of this work, indeed all volumes, is thus to describe the sites under the respective parishes giving historical details and present conditions (with directions if the sites can be accessed). I have adopted Francis Jones’s (1954) category system for wells. 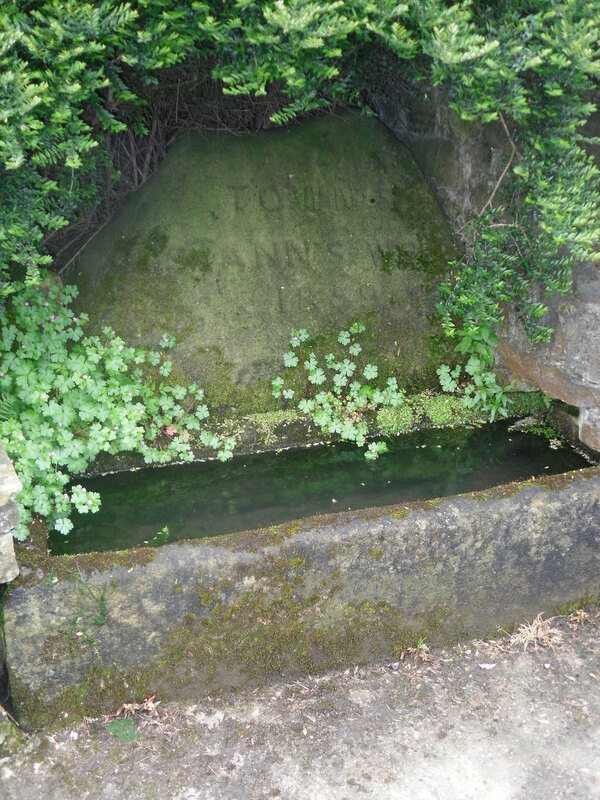 The main body of the text covers Class A (saint’s names, those named after God, Trinity, Easter etc), B (associated with chapels and churches), C (those with healing traditions which in this case includes spas and mineral springs) and some E (miscellaneous with folklore) sites The second part includes a list of named ancient wells with explanatory notes (mostly Class D i.e. those named after secular persons but possibly also holy wells and E). There are 190 or so sites in the gazetteer which follow these criteria. This would give a density of Compared to Nottinghamshire 1 well every 8.8 squares miles, and Leicestershire 9.9 (6.1 removing controversially those probably not holy wells, healing springs or associated with tradition (Rattue 1993) In consideration of holy wells, the range of dedications is wider than Nottinghamshire, having a spread similar to Yorkshire. The order is Holy wells (15 confirmed sites although some may be holwells as well as 9 possible sites including possibly halig drivations. ), and those with names are restricted to presumably foreign or biblical saints: St. Mary (or rather Lady Wells) (8), St. Anne’s Well (5), St. Helen (3), St. Thomas’s (3), St. Peter (3), St. John (2), Jacob (2) and one of St. Michael, St. Alkmund, St. Cuthbert, St. Martin, St. Osyth and two dedicated to the Trinity (a rare dedication although in both cases it probably derives from the location) and three to the Gospel. To add to this is the possibility of other sites hidden in place name changes to add to the list, such as a Moses Well. Compared to Nottinghamshire there does appear to be local dedications or native saints such as Alkmund (there is a St Bertram’s well just over the border in Ilam, Staffordshire). The age of well dedications is always problematic. Derbyshire has a small number of sites whose name is suggestive of pre-Roman but this is only based on possible pagan names (class D). Roman sites are suggested at Buxton, Bradwell, doubtlessly erroneously at Stoney Middleton (there are Roman wells in Derby but these do not have any traditions and like others found in the county purely domestic). Unlike Nottinghamshire, there appear to be less sites associated with Danes (only one possible at Daniel Hay) as noted by Herewell in that county, this is to be expected as I hypothesis in that work they are indicative of tribal borders and as such these do not exist in Derbyshire, although some are suggested in the appendix. The majority of secular dedications appear Anglo-Saxon and Mediaeval in origin with a few interestingly named sites such as Harvestwell which may suggest some folk importance at this time of year. There are also a small number of wells given numerical names such as seven (3) or five (3). There appear to be none in neighbouring Nottinghamshire and although this maybe due to geological reasons (Hemswell in Lincolnshire shares much of the same geology as parts of Nottinghamshire where there are no numerical springs but boasts a seven springs suggesting that perhaps this is not a factor.) This has been seen as significant by Briggs (2007) as suggesting a cult importance. Interestingly, there are a number of Gospel Wells in the county, which is interesting as none are recorded in Nottinghamshire suggesting a continuation of rogation or beating of the bounds traditions. Derbyshire appears to be particularly rich in folklore compared to neighbouring Nottinghamshire and Leicestershire. One custom which was fairly widespread in the county, variously called ‘bottle day’, ‘sugar cupping’ or not named at all was generally carried out at Easter. 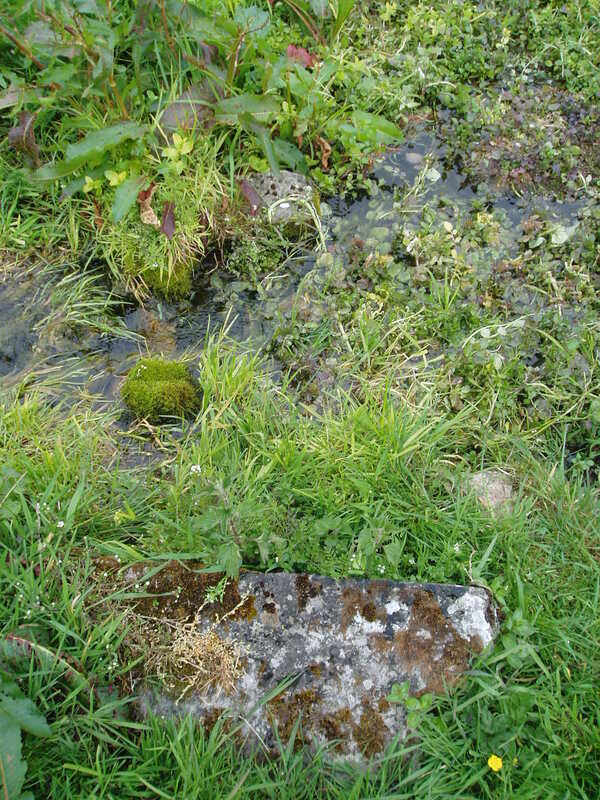 This tradition of adding sugar, liquorice, sweets or oatmeal to spring water is, although not unique to the county (it was done a far afield as Oxfordshire), was in the county more common. At least nine sites retain memory of the tradition (Castleton, Belper, Tideswell, Chapel-en-Frith, Ashford in the Water, Doveholes, Stoney Middleton, Little Hucklow) and there appears possibly a connection to Lady Wells. Another custom associated with wells across the country is the dropping of pins, done at Little Hucklow, Castleton (in pindale!) and Bradwell. Of course the most famous tradition associated with Derbyshire wells is well dressing which can trace its history at least to the 14th century. It is a tradition now extended beyond the White peak were it was mainly endemic (as well as neighbouring parts of Staffordshire). However, very few sites dressed could be considered holy wells or commemorate those with healing or folklore traditions. (According to Naylor and Porter (2002) who list well dressing sites and Welldressing.com (2009) which list well dressing sites of those in the county. From these sources only 18% (although the work does not list all wells and so the figure is probably inflated) and 6% respectively record known holy or healing wells. Those with current well dressing traditions which are certainly within the remit of this work are to be found at Buxton (St. Ann’s Well), Chapel-en-le Frith (Nanny well), Youlgreave (Holy Well), Wyaston (Bishop Well), possibly Wessington (Moses’s well) and Bradwell (whose dressing mark the location of some of the lost pin wells). Other locations have a long tradition and may have had associations with holy wells. These may include Belper, Baslow and Roston. The county has a number of other traditions associated with water. Possible pagan figures are remember with three sites possibly deriving from Thor (variations of Thurs pytt), two sites derived from goblins (grime and puck), three derived from Hob, sites derive from elementals such as possibly Jenny Well, Hell hole, and another two derived from prophetesses, Sparken well, Tungleswalle and Olrin well. More obscure is Tommy-Raw-Head Well named after Rawhead-and-Bloody-Bones, a water-demon commonly used in Yorkshire to frighten children haunting deep ponds. Many of the rivers in the county have interesting traditions. The Trent was thought to desire an annual sacrifice and an elemental which was said to frequent it around Swarkstone. (where the substantial bridge was built by two sisters who lost their lovers in its waters).Indeed ghosts associated with bridges may be seen as significant there is Ashbourne’s hanging bridge, Derby’s St. Mary’s Bridge (in the form of a nun), Bamford Bridge, Cromford bridge, (where an evil spirit called Crocker existed in the form of an Ash tree by the Derwent. It would attack travellers as they crossed the nearby bridge, until someone stuck St John’s Wort into the tree! 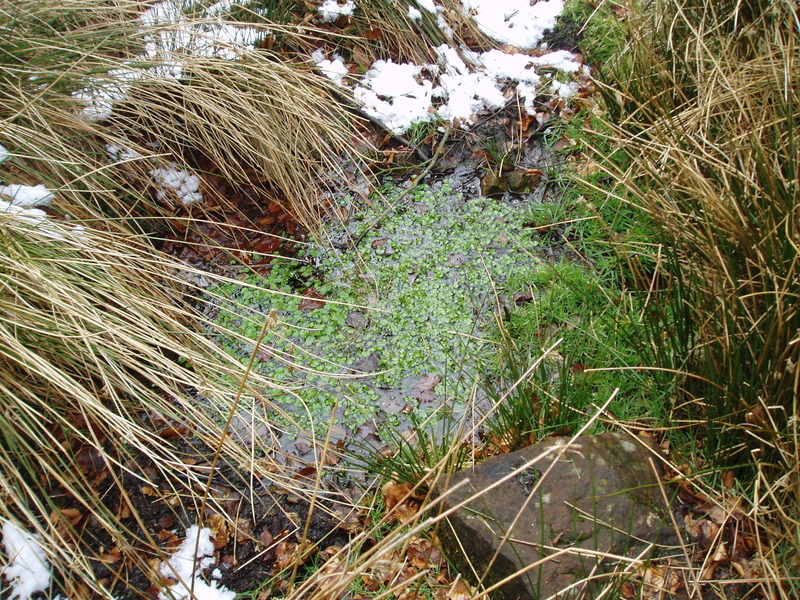 ).Of spring sites only White Lady Spring has an associated ghost although one waslaid to rest in Lumby Pool in 1760. It is said that an exorcist from Bradwell was invited to help when the ghost of a young girl was terrifying the village. He raised the ghost and told it to turn into a fish and go to live in Lumb Brook which fed the pool. Each Christmas Eve the fish changes into a bird and fly to Lumbly Pool. To add to this collection of water lore of course is the Mermaid’s pool. At Edale the River Noe is haunted by the sounds of a screaming followed by splashing noises and a more traditional ghost haunts Turnditch’s Carsington Water, being a phantom black dog. Why are there so many well traditions in the county? Perhaps this is an indication of the remoteness and wildness of much of the county where ancient traditions continued for longer, perhaps even in some remote areas the full effect of Christianity never reached them! Derbyshire is famous for Buxton Spa and Matlock Bath, but not surprisingly there were several attempts to establish similar large scale (Bakewell) to medium sized (Derby, Stoney Middleton, Quarndon, Kedleston) to small affairs (the largest amount with 25 sites). Therefore there are 32 C sites in the county, although this does not include sloughs which were used to utilise their thermal waters. The trend seen in Nottinghamshire of naming all mineral waters, spas, irrespective of how slight they are is continued into the county. Derbyshire’s spa and mineral waters has received greater recognition and the high number of sites is clearly this time geographically based due to the nature of the minerals in this area. Lists exist (Farey (1818)) of notable water supplies but very few appear to have been frequented or acknowledged beyond such these texts, most I have referred to as sulphur or mineral water according to his descriptions. Again as argued elsewhere, some of these mineral waters may have originated as holy wells, the strongest evidence being that of St. Anne’s Buxton of course. Derbyshire’s last exploitation of its waters was the Hydro. Although in a sense out of the scope of this book, they are worth a mention. There were three major Hydros in Matlock: Smedley’s, the largest, near Matlock Bridge Station; Davis’ at Matlock Bank; and Roger’s at Matlock Green. A number of smaller hydros were established, Rockside Hall, Bank House and Laburnum Hydros. All of which ceased around the mid to late 1930s, Smedley’s finally becoming the Town Hall in the 1950s. Just outside of Matlock, Darley also had its hydro which after seeing life as a girl’s school is now flats. Matlock Bath had Ashover had two successful ventures: Ashover House Hydro and Ambervale or Prospect House Hydropathic Institution Boarding House. The former was established in 1869 and continued until 1963 when it was divided into private apartments. The later was established in 1877 and continued until the early 20th century. Baslow had a Hydro established in the late 1800s being based in a hotel surrounded by spacious grounds. It was a profitable enterprise until the First World War and was closed in 1936 was demolished. Only the two stone gateposts and Hydro Lane remember the enterprise. 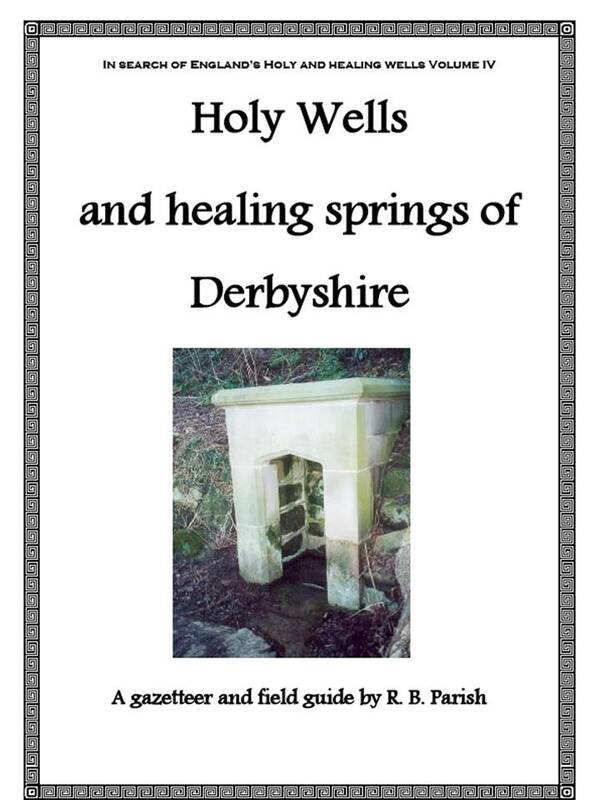 To learn more about the healing and holy water history of the county read Holy wells and healing springs of Derbyshire.